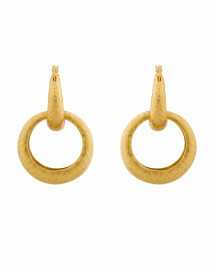 Hinson Wu's designs are a feminine and modern. 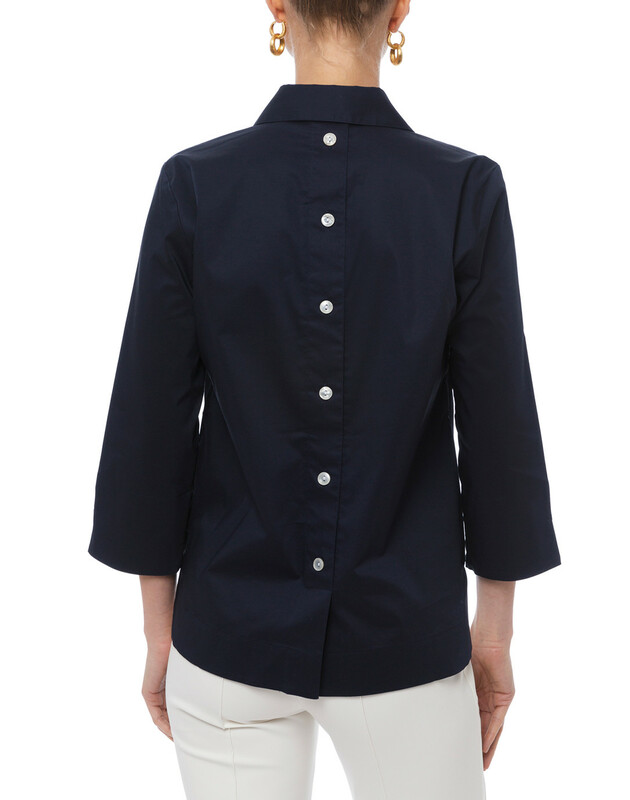 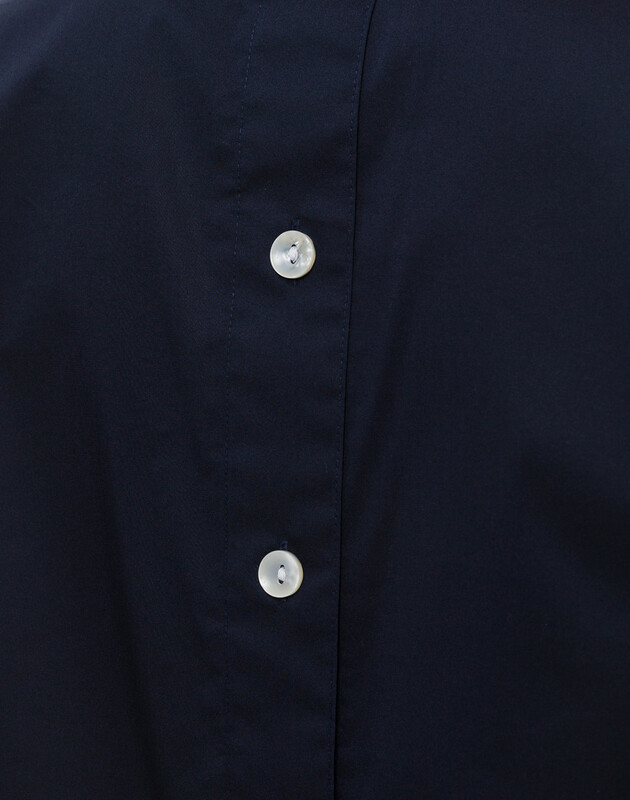 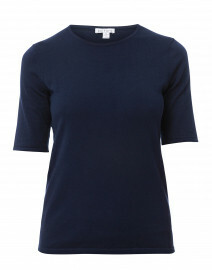 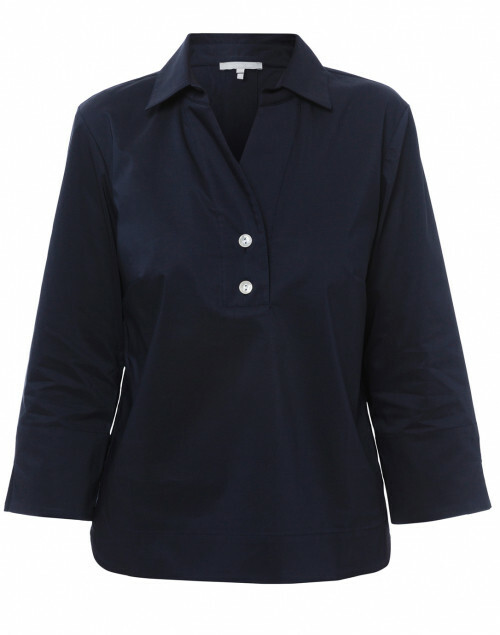 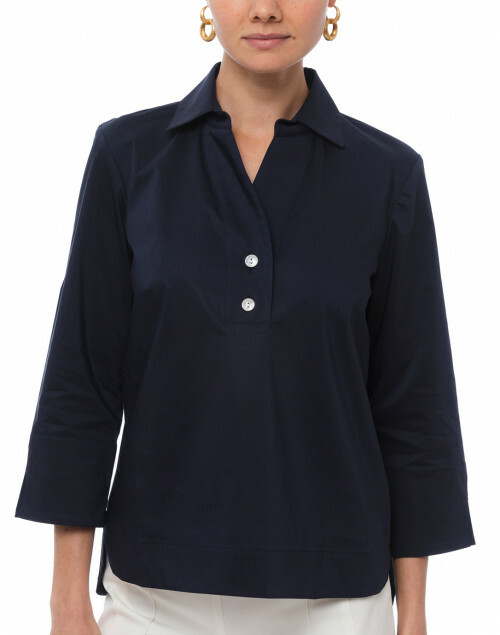 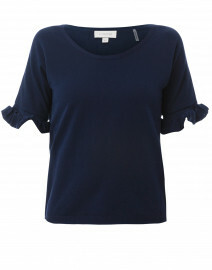 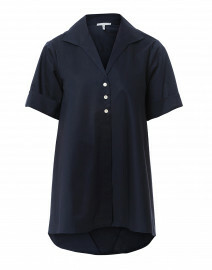 This navy stretch cotton poplin shirt is a stellar example – it features a henley style neckline, decorative button back, and chic three-quarter sleeves. 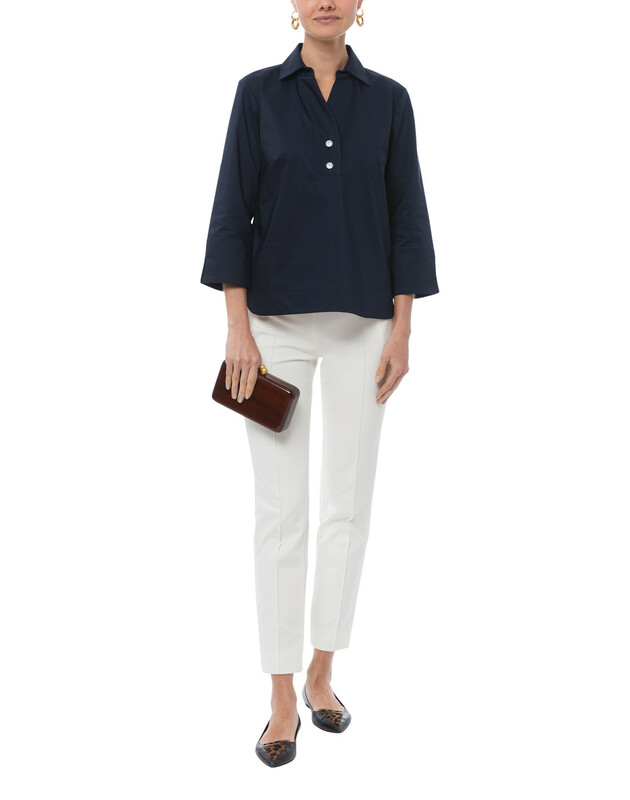 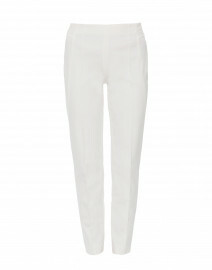 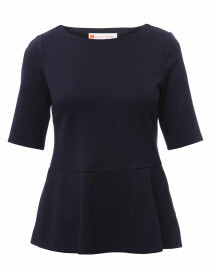 Wear it with white pants and simple accessories for a timeless, polished look.